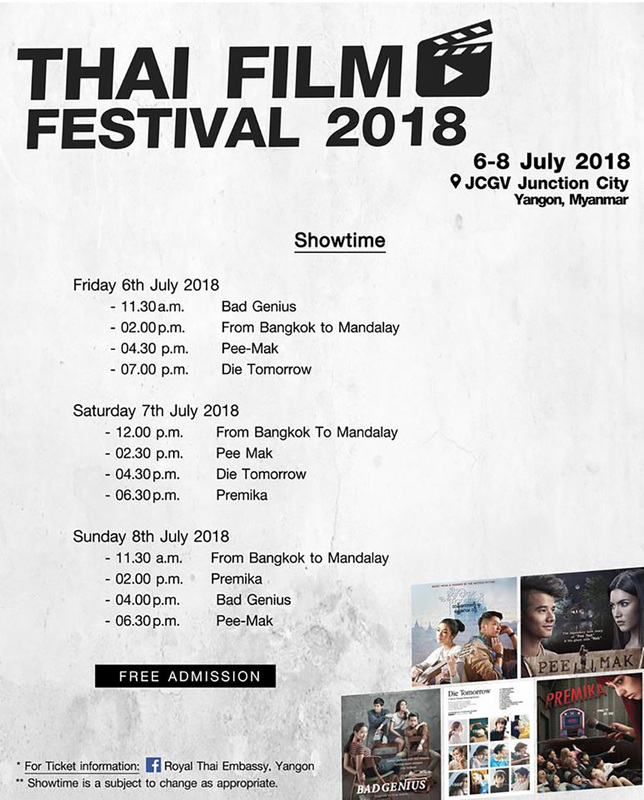 Famous Thai films such as “Bad Genius,” “Pee-Mak,” “Die Tomorrow,” “Premika” and “From Bangkok to Mandalay” will be screened. July 6-8, JCGV Junction City, Bogyoke Aung San Road. Free Admission. This is an electronic dance music festival. 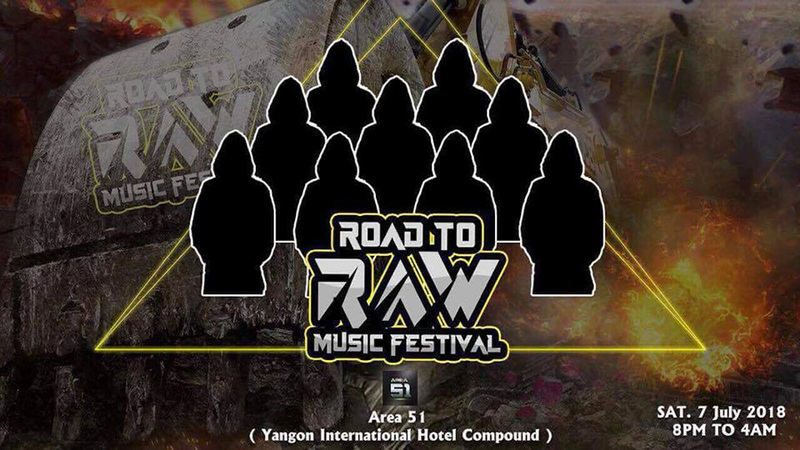 July 7, 8 p.m. Area 51, Yangon International Hotel Compound. 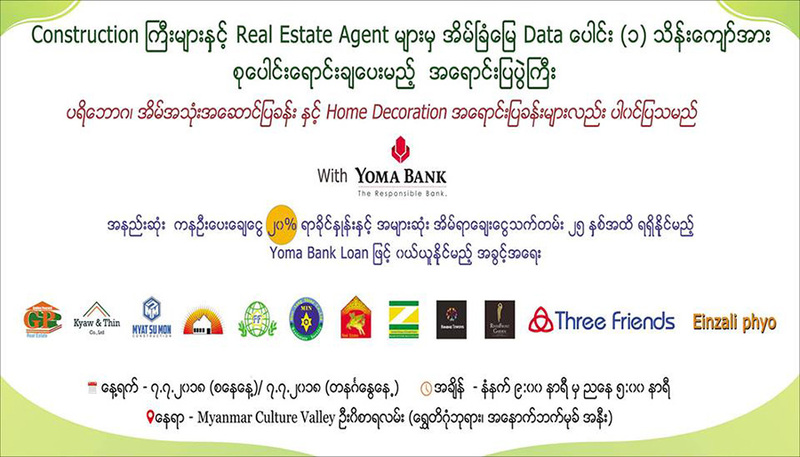 Tickets start from 17,000 kyats at 09-43020145, 09-960090078. Sin Pauk will perform at this event. 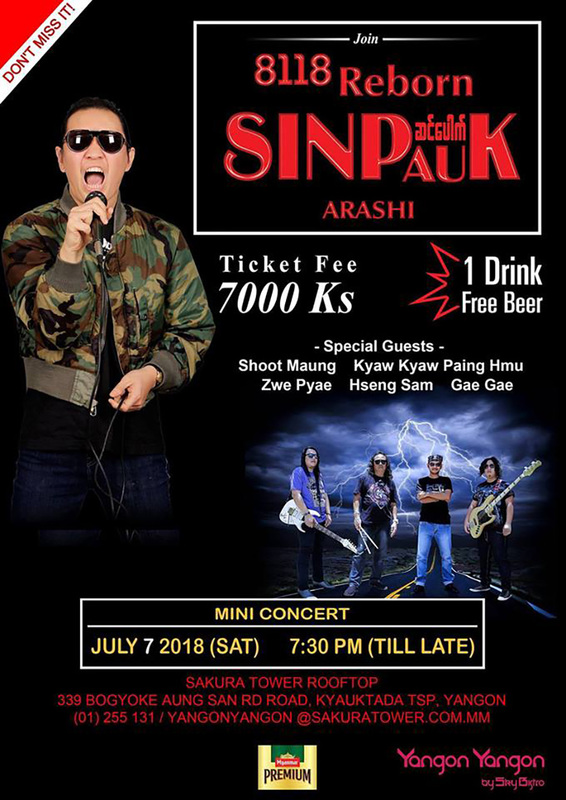 July 7, 7:30 p.m. to 10:30 p.m. Yangon Yangon Bistro Bar, Bogyoke Aung San Road. Reservations at 01-255131. This event presents educational opportunities for students who failed matriculation examinations. 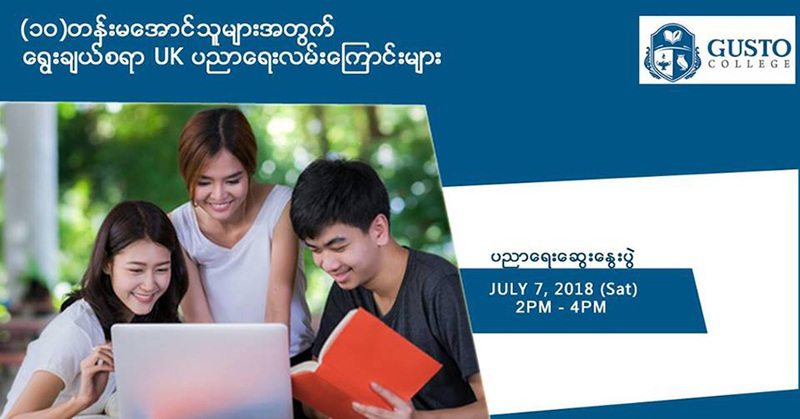 July 7, 2 p.m. to 4 p.m. Novotel Yangon Max. Famous brands will be up for grabs at a discount. July 6-8, 9 a.m. to 5 p.m. No. 27/29, 35th Street, Lower Block, Kyauktada Tsp. Hundreds of apartments will be on sale at this event. 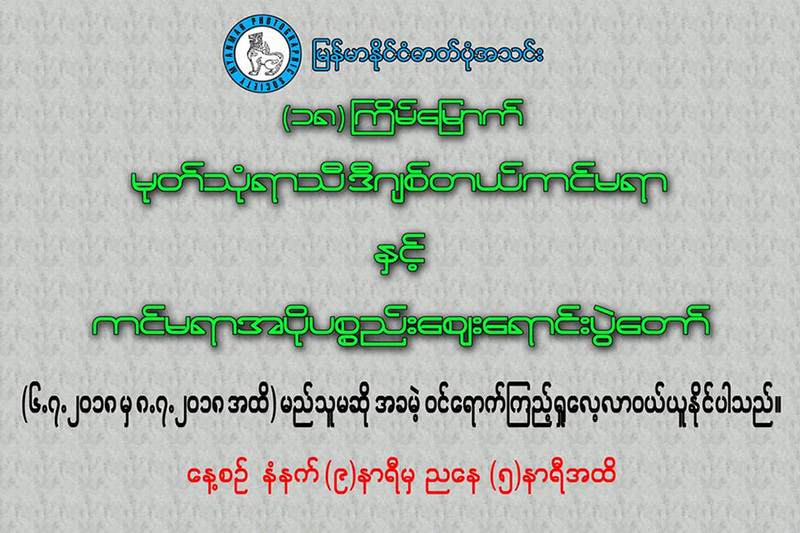 July 7-8, 9 a.m. to 5 p.m., Myanmar Culture Valley. 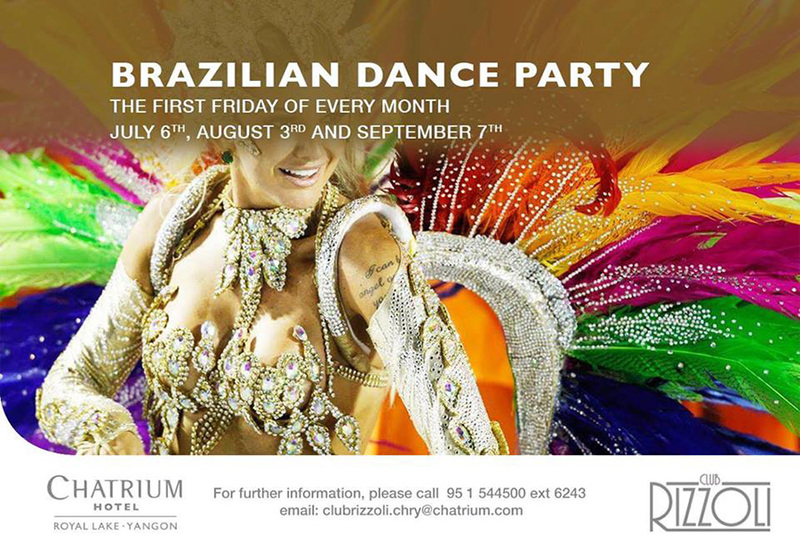 There will be samba music and dance. July 6, 6 p.m. till late. Club Rizzoli at the Chatrium, No. 40 Natmauk Road, Tamwe Tsp. Reservations at 01-544500. 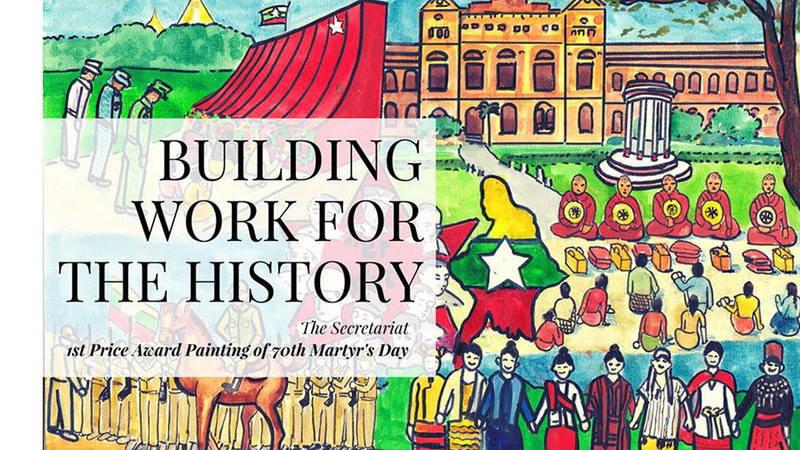 This exhibition features award-winning paintings of school children to mark the 71st Martyrs’ Day. July 3-7, 9:30 a.m. to 4:30 p.m. Secretariat Building. Free Admission. Artists feature what they have experienced over the past 70 years since Myanmar gained independence. July 7-31. Pyinsa Rasa Art Space, Secretariat Building. Tickets: 1,500 kyats for locals and 5,000 kyats for foreigners. Fourteen female artists aged over 60 will showcase their works. 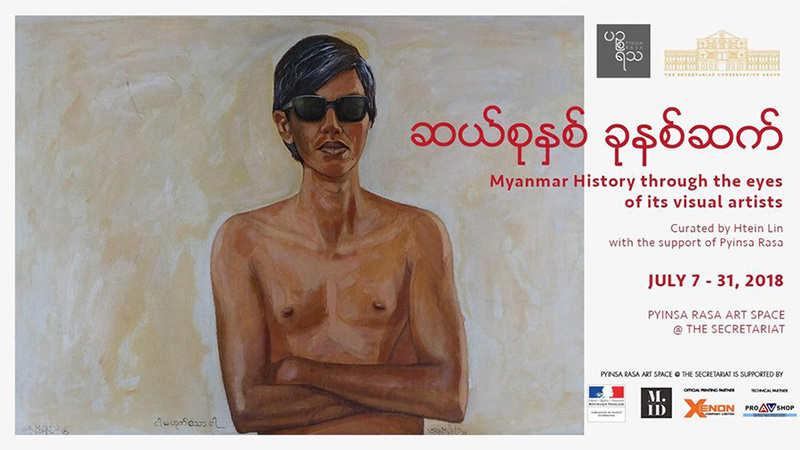 July 4-9, 9 a.m. to 5 p.m. Myanmar Artists Organization Central, Bogyoke Market.